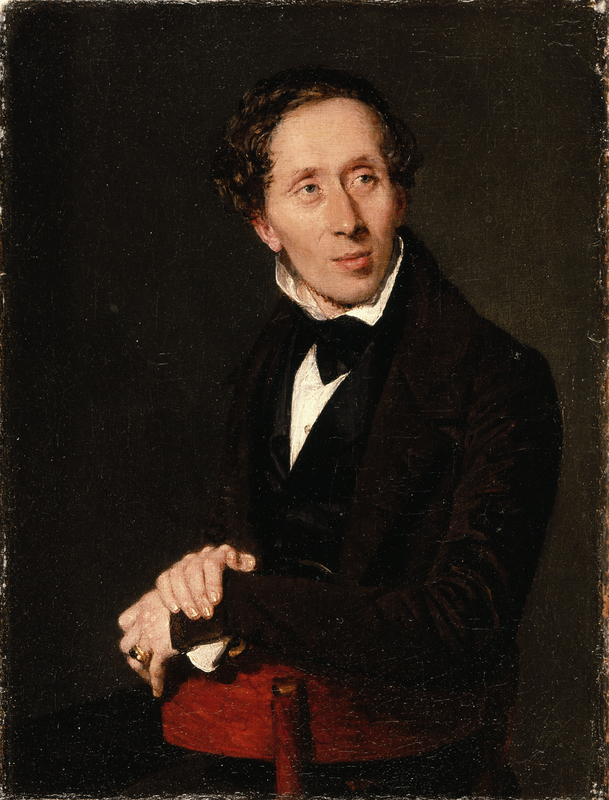 The Danish author Hans Christian Andersen (1805-1875) is one of the most beloved children’s writers of all time. Andersen’s tales of mermaids, ducklings, demons, and emperors have been translated into over a hundred languages and have enchanted the minds and hearts of children around the world. Although children may not read Hans Christian Andersen fairy tales in the original form anymore, they certainly know of his tales through the numerous animated and live-action cinematic spinoffs. In this article, we’ll take a look at five of Andersen’s most enduring tales, examining each story’s unique lesson and subsequent film adaptations. Andersen’s “The Little Mermaid” is probably his most popular work. The popularity of this tale is evidenced by the fact that the Danish government commissioned a bronze statue of the Little Mermaid to be built in the capital city of Copenhagen in 1909. This statue of the Little Mermaid still attracts thousands of wonderstruck tourists each and every year. Hans Christian Andersen’s The Little Mermaid has become an unofficial symbol of the Danish capital for over 100 years. Andersen never gives his Little Mermaid a name. That’s right, there’s no “Ariel” in the book! The Little Mermaid is 10 years old at the start of the tale and has five older sisters, unlike the six older sisters in the movie. In the book, traveling to the surface of the sea is not forbidden by the king at all. In fact, all of the sisters go to the surface of the water as a part of their fifteenth birthday celebration. There is a prince and a sea witch in Andersen’s fairy tale, but the sea witch Ursula isn’t the villain that Disney made her out to be. Although the Disney film is by far the most popular adaptation of the story, there are numerous other adaptations of “The Little Mermaid.” For example, famous Czech composer Antonín Dvořák composed an opera called Rusalka based on Andersen’s tale, and the Japanese animated film Ponyo by Hayao Miyazaki was loosely based on Andersen’s story. Today, everybody thinks they know what “The Snow Queen” is all about, but most of the time, they’re completely wrong. “The Snow Queen” has gained tremendous popularity due to the success of Disney’s film Frozen, which was purportedly loosely based on Hans Christian Andersen’s original 1845 tale. However, if Disney executives didn’t say they looked to Andersen’s tale for inspiration, we probably wouldn’t even mention Frozen and “The Snow Queen” in the same sentence. 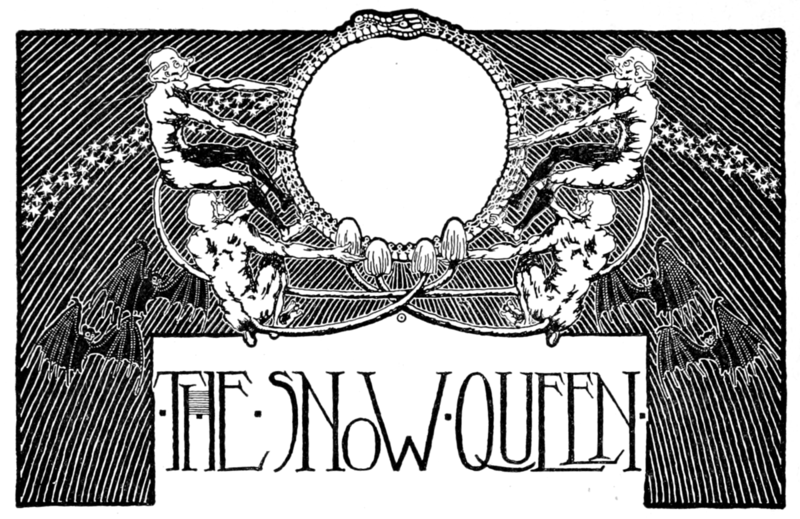 Many critics hail “The Snow Queen” as one of Andersen’s finest stories. It certainly is one of his longest and most intricate plots, so long that it’s officially split up into seven “chapters.” The heart of the story concerns a young girl and boy: Gerda and Kay. One unfortunate day, Kay is struck by shards of a magic mirror that was broken by demons. These shards make Kay see everything and everyone through the lens of negativity and hatred. Eventually the evil Snow Queen captures Kay, so it’s up to Gerda to travel to the Snow Queen’s fortress and save her friend before he passes away. That’s right, there’s no Ana, Elsa, or Olaf in the original tale! But that doesn’t mean you should turn away from this fabulous read. Andersen’s tale has a touching message on the salvific power of love and the triumph of good over evil. There are numerous other more or less accurate adaptations of “The Snow Queen” made over the years. Just a few of these include a Finnish film adaptation called Lumikuningatar, a British animated adaptation in 1995, a Japanese anime series from 2005-2006, and even and operatic adaptation in 2010 by Italian composer Pierangelo Valtinoni. This little story, published in 1843, was perhaps the closest to Andersen’s own heart. Andersen conceived the idea for this story of an ugly duck’s transformation into a beautiful swan while relaxing on the Danish island of Zealand. While he was enjoying the gorgeous natural scenery, the story started to form in Andersen’s mind and, after one year of tireless work, he finally produced his masterpiece. Many people believe the “ugly ducking” in this story is a symbolic representation of Andersen himself. 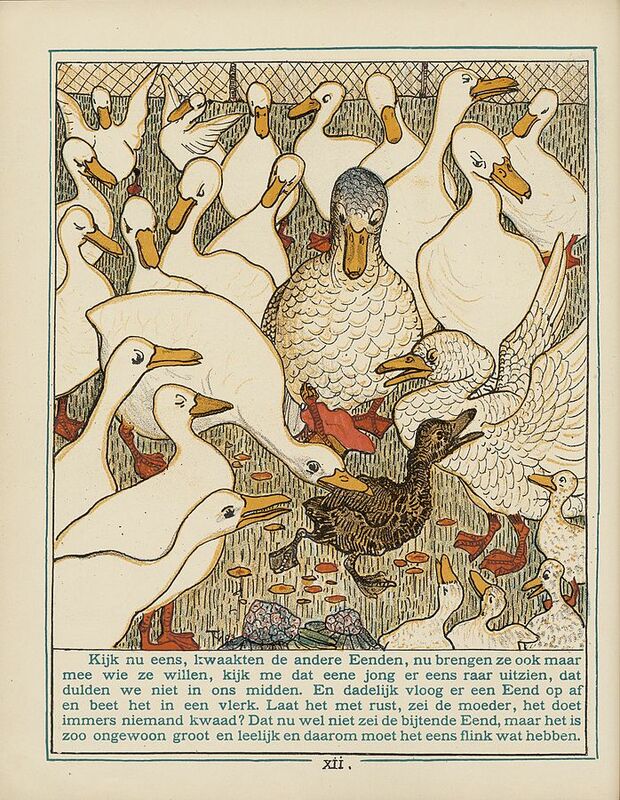 Andersen apparently told a critic that “The Ugly Duckling” was as good as an autobiography of his earlier years. If you’ve ever seen a picture of Andersen, then you know he was a rather lanky man with a large nose. 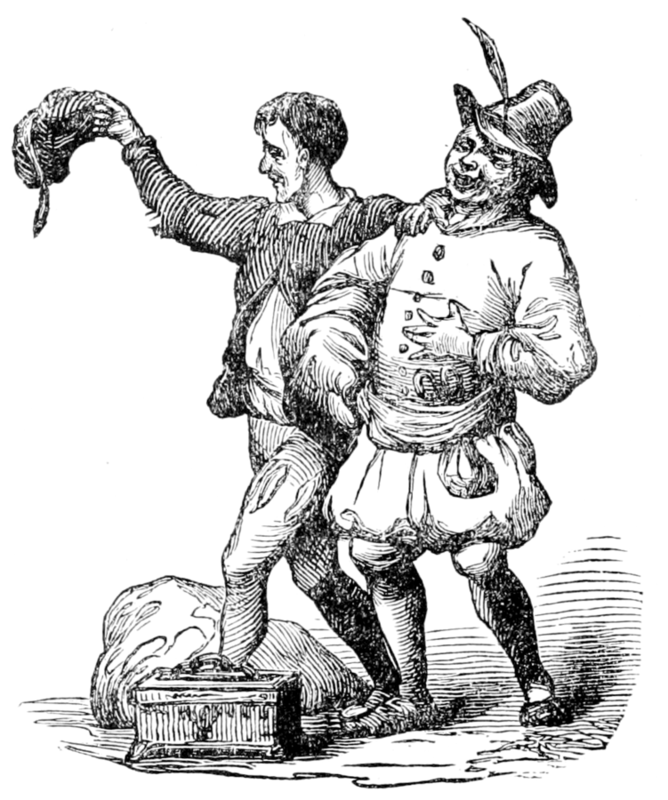 Andersen was often teased in his youth, especially when he tried to sing in local performances. “The Ugly Duckling” is a story about his own transformation from a gawky teen into the mature, refined, and successful adult author. “The Ugly Duckling” has become an international symbol for overcoming adversity and personal transformation. Walt Disney himself made a version of “The Ugly Duckling” in 1931, and it was remade in 1939 in color. Another interesting adaptation of “The Ugly Duckling” is the British live musical Honk! Published in 1837, “The Emperor’s New Clothes” has become internationally loved for its wit and powerful message about confronting authority. Andersen’s tale does have a precedent in a story from the popular Spanish Tales of Count Lucanor. Some other literary critics believe Andersen may have gotten a few of his ideas from the classic tales of Aesop as well. Either way, the resulting tale is a classic exposé on human vanity and the overwhelming fear of social rejection. The story is very simple: two weavers tell a self-absorbed Emperor they have invented a luxurious invisible fabric only for the elite. Intrigued by their suggestions, the Emperor decides to wear the “invisible clothing” and parade himself around town in the buff. It takes the courage of a little boy to point out the Emperor is actually wearing no clothes. Today, saying the “Emperor has no clothes on” has become a familiar expression for pointing out an obvious truth others don’t want to admit for fear of social ridicule. The “Emperor’s New Clothes” has been made into various film and stage adaptations, including a 1987 film starring Sid Caesar and yet another extremely loosely inspired Disney animated movie called the Emperor’s New Groove. One Andersen tale little discussed nowadays is “The Nightingale,” but it has one of the most prescient messages for our technophilic modern world. The tale was inspired by a trip Andersen took to a Danish pleasure garden in Tivoli that had a strong Chinese flavor. The story was composed and first released in 1843. The tale concerns an Emperor of China who loves the sound of one particular nightingale. However, once he gets a mechanical bird decorated with shiny jewels, he quickly rejects the natural voice of the nightingale in favour of his mechanical trinket. Once the machine breaks, however, the Emperor falls deathly ill. In the end, the nightingale returns and (SPOILER ALERT) drives Death away from the Emperor. The meaning is simple and clear, yet it is something we often lose sight of with our smartphones, TVs, and computers. Andersen gently reminds us all to appreciate the little gifts of nature while we have the chance. Most people believe the nightingale in this story was inspired by the Swedish opera singer Jenny Lind, of whom Andersen was extremely fond. Some people also conjecture Andersen was inspired by the famous “Ode to a Nightingale” written by English Romantic Poet John Keats. It’s a testament to Hans Christian Andersen’s power as a storyteller that he’s become an undeniable force in the collective psyche of the West. Andersen is as indispensable to the Western world as Shakespeare, Dante, and Dickens. His meanings and morals are clear and direct. Unsurprisingly, humanity has a nasty habit of straying away from his messages of love, strength, and authenticity. No matter what age you are, it’s always a good idea to read through some of Andersen’s stories to renew your commitment to all that is good in the world. Love Andersen’s fairy tales? 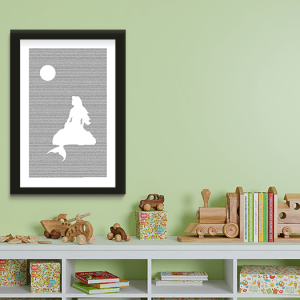 Check out The Little Mermaid book poster!